The Scheppach Tiger 2500 is desined for uninterrupted daily use. 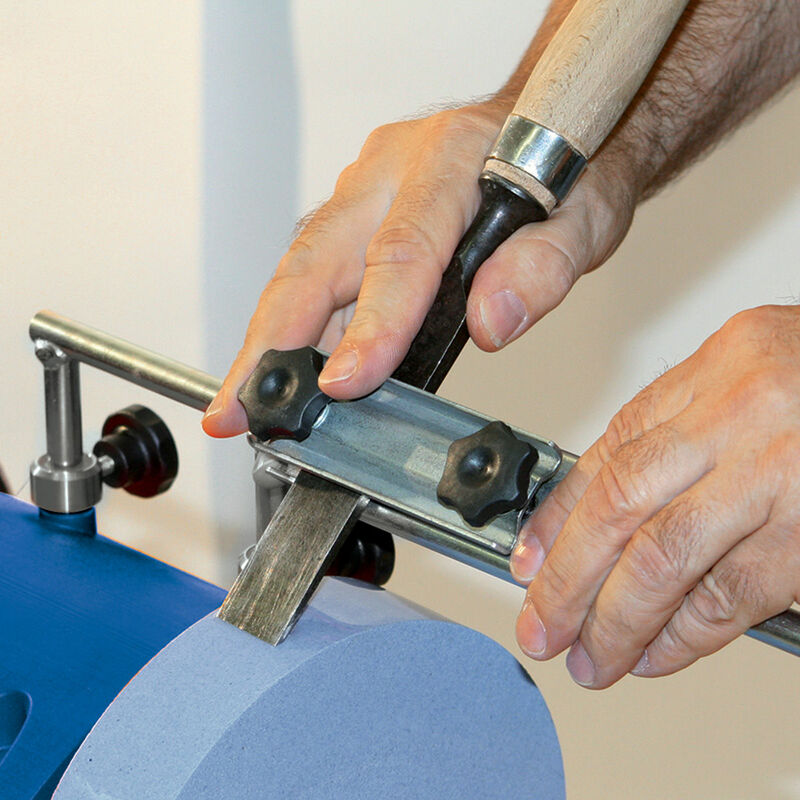 It is therefore the ideal choice for all craftsmen and training workshops. It also has the advantages of a 250 Dia. 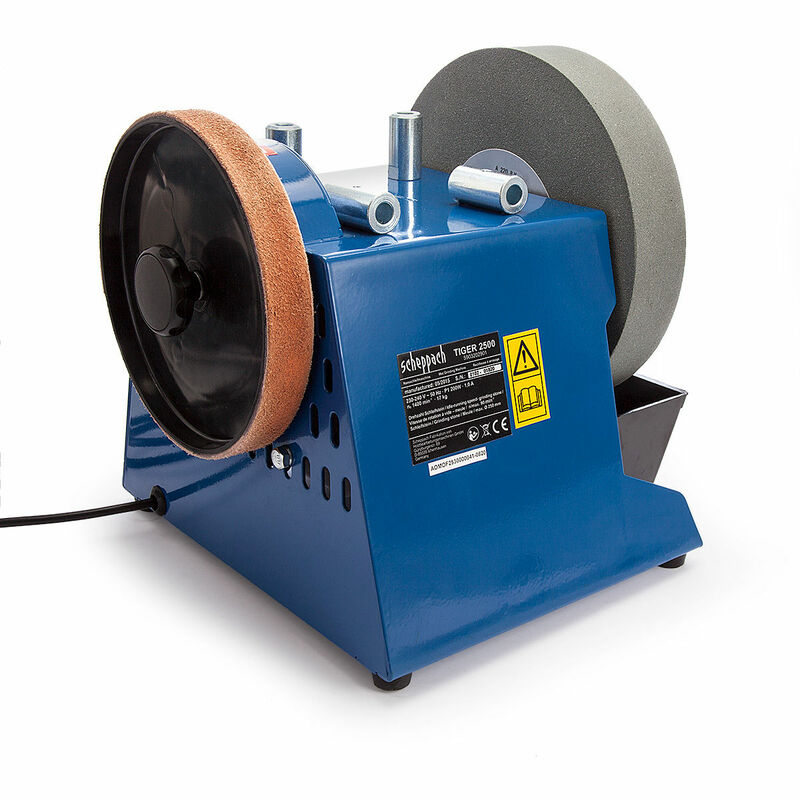 grinding wheel making this ingenious sharpening system complete with honing wheel for that final perfect edge - both versatile and simple to use. Correct grinding and honing is an art in and of itself. 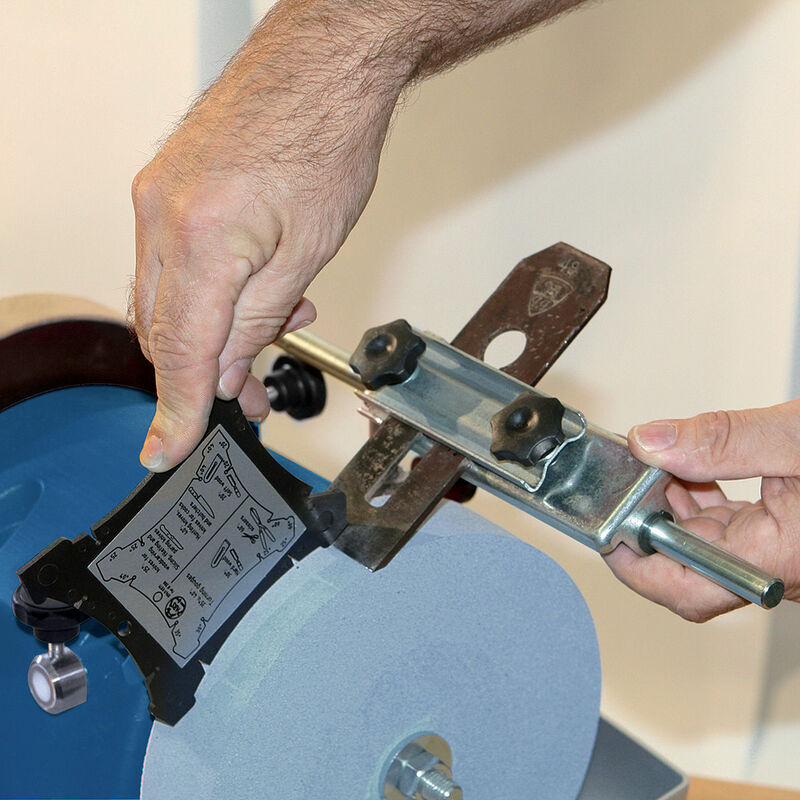 Without training and experience, costly mistakes can be made and expensive tooling ruined. Now, all the technique you need for professional results has been built into the TiGer 2500 wet and dry grinding/honing system. Your machine is the "professional" - you get perfect grinding every time.Just like old-fashioned grinders, the Tiger stone runs slowly in a water trough so that the tool never looses its temper due to overheating. With the special stone containing grains of aluminium oxide, you achieve perfect grinding results much quicker than with any other machine. The grinding stone is also ideal for HSS tools. The leather honing wheel removes the burr and gives a perfectly polished cutting edge. 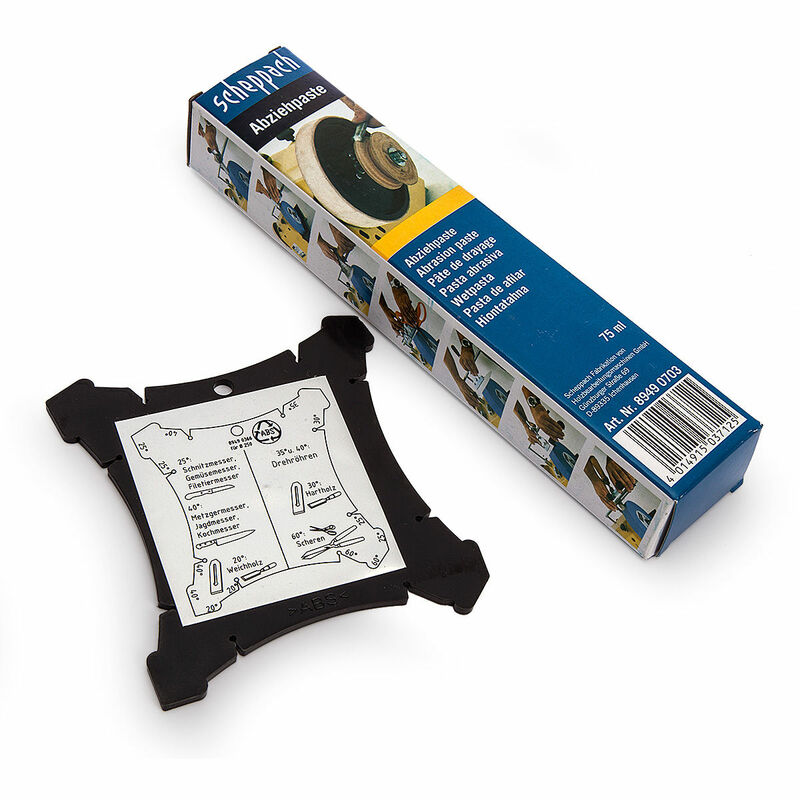 It is removable to allow unhindered access to the grindstone when grinding long knives or tools. The powerful motor protected from water splashes by an enclosed housing, is made for continuous operation.